Texas have beeon the music scene for 25 years, but there's no better year than 20103 to make a comeback - talk about good company (Bowie, Timberlake, Daft Punk etc). The band have a UK and European tour coming up, and are soon to release a new album, The Conversation, which is their first since 2005's Red Book. 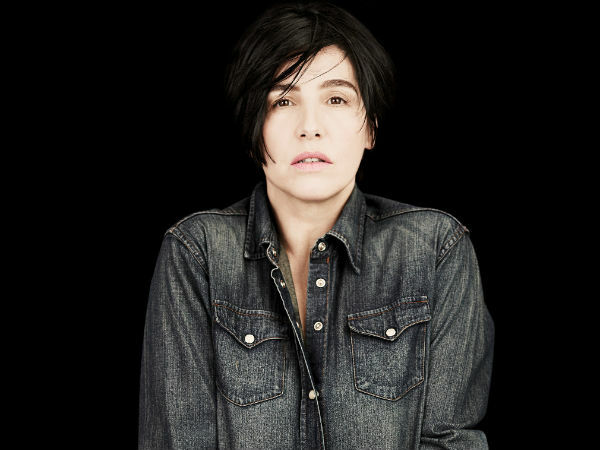 Busy times ahead for Sharleen Spiteri and co.
Hi Sharleen. It's been eight years since the last album. Why did you feel it was the right time to come back? It was just time to make a record. Ally [McErlaine], our guitarist, had a brain aneurysm almost four years ago and he really wanted to get on the road so we did some odd dates here and there. And you know when it feels right. People wanted a new record and that was kind of very much what happened. In your career you have sold millions of records. Did you ever think the band would go so far? I was actually saying this morning that it's funny because sometimes I don't even think it's us. People say 'Oh, it's 25 years and 35 million records,' and suddenly you're at that point and people are throwing up numbers to you and you're like, 'Who are they talking about?' You think they're talking about someone else and then you go, 'Bloody hell, we've done alright!' We're really proud and happy and feel really lucky to still be doing it and that people are still interested, which is good. Is it true Peter Kay thinks you still consider yourself as a hairdresser? Yeah, it's funny. We were talking about something and he said, 'You know, you make me laugh. In your mind, you're still a hairdresser and you're just waiting to be found out.' So in a weird way, maybe that's what it is. As long as it keeps you grounded. I don't think my mum and my dad and my sister would let me get any other way! There'd be trouble. How do you think the band has changed over time? You performed at London's 100 Club on Monday. Did it feel like your early days again, performing to such an intimate crowd? Yeah, and I loved it. The sweat was running off us and that's what it's about. You can't hide in those kind of gigs, you just go out and play your backsides off - because everyone can see you and see what you're doing on stage, that stuff is right there. Doing all the different kinds of gigs makes it really special. Do you prefer the smaller venues then? I'll be honest, I like both. I think if I was playing tiny ones all the time I'd be like, 'oh, it'd be quite nice to play a big one.' But then also if you were playing the really big ones all the time you'd be like, 'Jesus, take me back to a club.' I mean, we're lucky enough that we're a band that kind of dip in and out of what we want to do, you know, we've played clubs, we've played universities, we've played theatres - we've played the lot. With a tour following a comeback, is there pressure to focus on 'the hits' rather than new material? We'll always put the hits in the setlist. I wouldn't see any reason why you wouldn't do that. There's a reason why they're hit records, there's a reason why people want to hear them. And to be honest, I've never thought not to. I've never done that. This set at the moment includes brand new songs that people have never heard, so then you put a song that people really know next - that just makes sense in my brain. What's most important thing you've learnt after 25 years in the business? Trust your own instincts, protect your bands at all costs, make decisions based on what your band want, what it is you want and how you see the band. It's not anyone else's decision. You've mentioned before that the music industry is a man's world - how do you handle being a woman in music? Handle being a woman by being a woman, that's it. You know, I stick to my guns. It's run by men but I don't really differentiate between men and women. If someone's good at their job then I'll listen to what they say and then make decisions based on that. It's not really anything to do with anything else. But yeah, you do have to shout a little bit louder, be a little bit harder, and that's the way it goes. It's important for me. I mean, I wouldn't say I'm an outspoken person but if you ask my opinion of something I'll say exactly what I think and how I feel. If I'm asked - I don't feel it's my job to give my opinon on anything, but if I'm asked my opinion in an interview or whatever, then I absolutely will say what I think. You had quite a nasty fall recently on the set of your video. Are you OK now? Yes. I had a bit of a headache and I was a wee bit dizzy for a while but apart from that, yes. All good! Have you ever been injured on stage? I've broke my wrist, I've ripped my hand, I've done my back in. I've done all sorts. Over twenty five years I think I've done pretty good - I was pretty lucky when I smashed my face that I didn't break all my teeth because I landed right on the front of my face. I was pretty lucky there. Were you surprised by the amount of attention it got? Yeah, I was! I mean, it was like, oh, okay. Because it was for a video it was being filmed, so that's partly why it got so much attention. Everyone was talking about the video like, 'do you think we should put it up?' and I was like, 'damn right put it up!' There were loads of people who'd love to see me get my face smashed in anyway, so here they go. Thanks, Sharleen. Texas' new album The Conversation is released on 20 May.